The dense matter of art is like a time-pressed marble, sometimes readable, somewhere difficult to comprehend. Temporal remoteness and heterogeneity require the complexity and multidimensionality of the conceptual language. There was an intriguing task to look at the entire history of painting through a single filter. This magic key as one of the main ingredients of painting is color. A variety of shades and textures is overcome by a modern technique: I can create a unique color pixel by averaging the color of one picture. Its uniqueness is guaranteed by more than 16 million colors in digital technologies. Google helps to choose the first found picture of artists, arranged in alphabetical order. 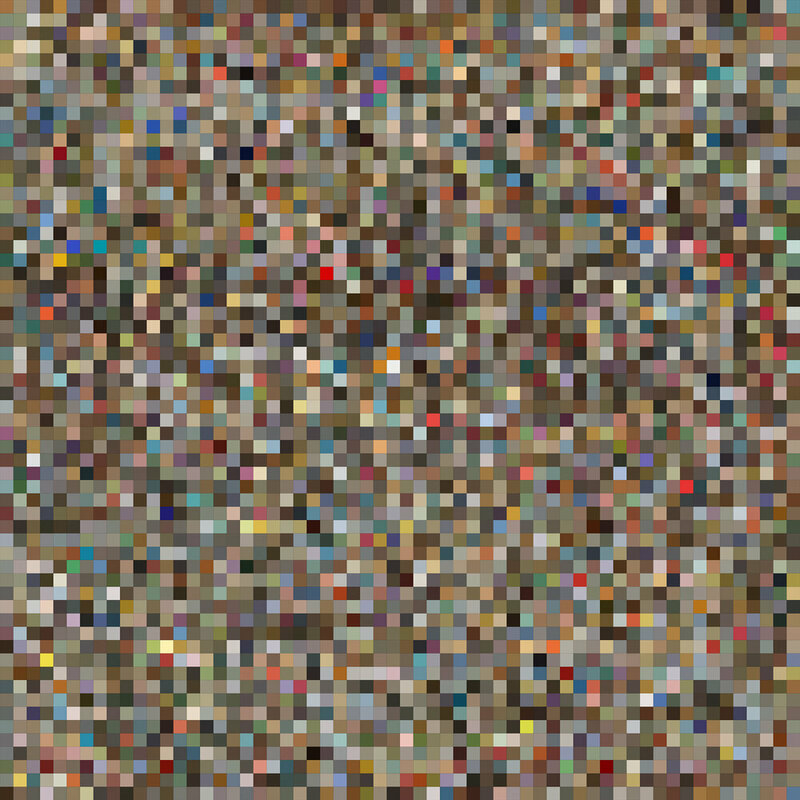 Each generated pixel becomes a conceptual color mark, devoid of surname, picture title and other attribution. The result is absolutely random. The project consists of two parts. In the first there are artists with surnames on the letter A with the number 3600. In the second - on the letter Z (900).